In 1956, a prototype of a new passenger car from Volvo was presented. It became known as the Amazon in Sweden and the 121 and 122S in export markets, the latter denoting a more sporty derivative. However, despite its substantial appearance, all Amazons were surprisingly fleet of foot - this was one of the most sporty European saloons of the 1960s. With its elegant, timeless styling the Amazon broke new ground for Volvo - and for passenger cars as a whole. 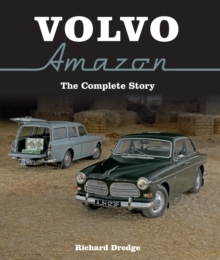 This new book covers the complete story of Volvo Amazon, from 1956 onwards, including full production histories, comprehensive specification details, and over 250 photographs. 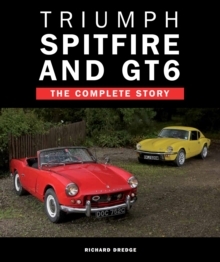 An ideal resource for owners, or anybody with an interest in the evolution of these classic cars.